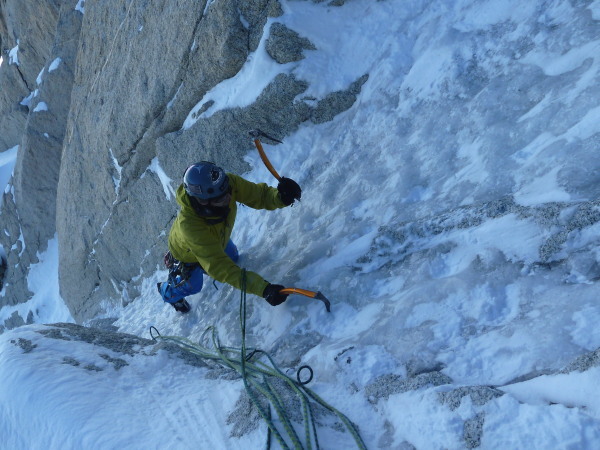 Lots of snow and strong winds recently have left poor conditions for climbing, but the Chéré couloir is fairly reliable. A quick ski over from the lift saw us ploughing up the snow the the start. 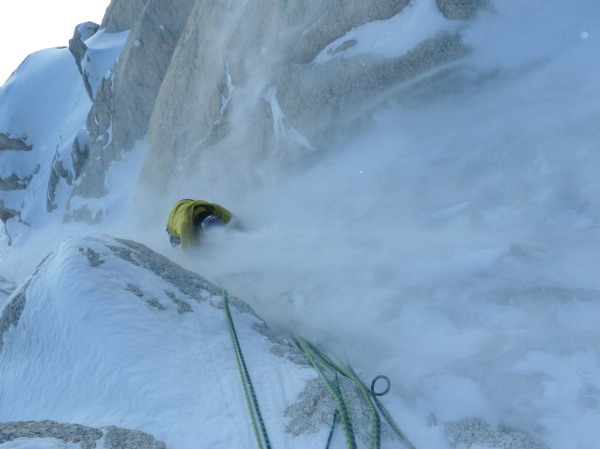 Above, the ice was excellent, giving enjoyable climbing despite the spindrift. 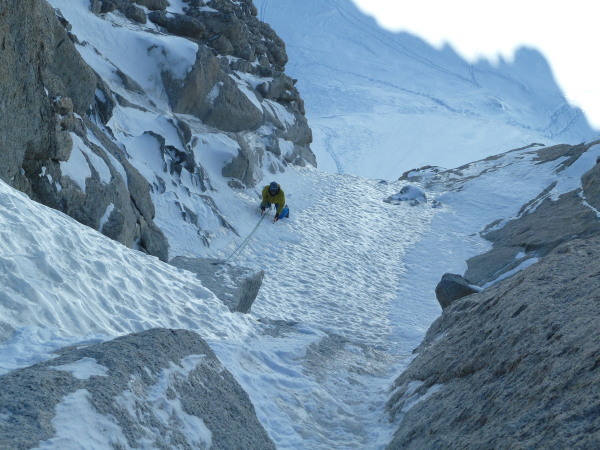 After abseiling, we decided to ski the Vallée Blanche. This was strangely deserted - untracked down the Rognon variant - and we only saw 3 other people. 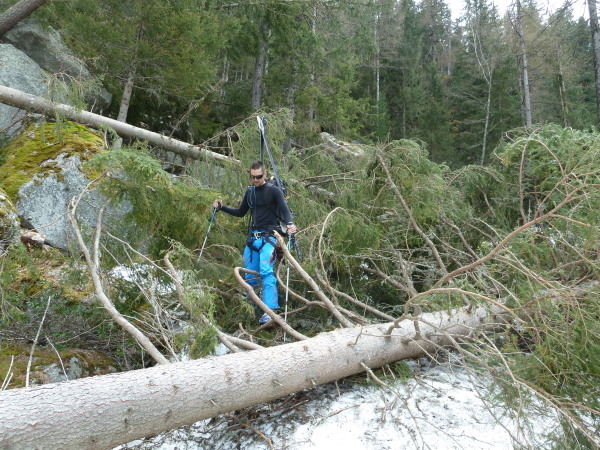 Good snow to the Montenvers lift, but as the train is closed we carried on down the glacier, soon running out of snow and battling through moraine rubble to reach the buvette, then through fallen trees from the weekend storm all the way to Chamonix and a well-earned coffee.